Determining the value of solar panels is an issue that has many appraisers asking questions. 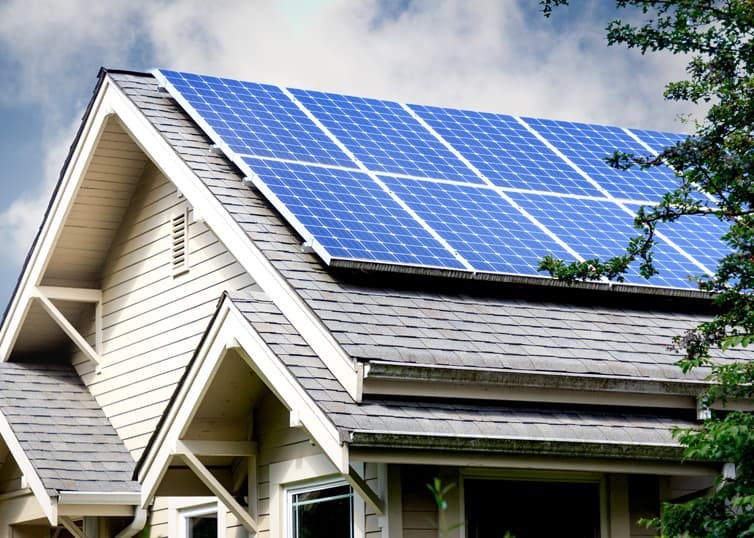 Solar panels and green homes are becoming increasingly more common in the marketplace. If you’ve seen a rise in solar panels in your area, consider taking the first step toward competency in the valuation of this energy efficient feature of real estate. Keep reading for answers to some FAQs about appraising solar panels, plus info on how to become competent in this appraisal niche. Want unlimited access to webinars (e.g., Appraising Solar Panels: A Primer), CE classes, checklists, and more? Join our Unlimited Learning Membership. How often do appraisers encounter solar panels? It depends on where you’re located. But in general, it’s more and more common to see solar panels on residential and commercial properties across the country. And solar panels will continue to become more widespread into the future. Many states, including California and Hawaii, already have renewable energy goals in place. For example, California’s goal is to be 33% renewable by 2020, 50% renewable by 2030. What basic properties of solar panels should appraisers be aware of? The main categories of solar are photovoltaic (PV) and thermal. Solar PV converts sunlight to electricity. Solar thermal directly heats water. The most common types of solar panels you will encounter are monocrystalline (more expensive, more efficient) and polycrystalline (less expensive, less efficient). With the PV solar systems, there will also be an inverter—either a microinverter (more expensive, more efficient) or string inverter (less expensive, less efficient)—typically found on the side of the home. Solar panels may be roof mounted, ground mounted, or dual axis (rotates to track the sun’s path). For a more in-depth discussion of solar basics, valuation challenges, and case studies, check out the recorded webinar: Appraising Solar Panels: A Primer. What are some of the key challenges of appraising properties with solar? Anything else appraisers should know? If you are appraising a property with solar panels, the first thing you’ll need to figure out is whether the solar array is owned or leased. If it’s leased, it has no impact on value. (Simple! You can breathe a sigh of relief.) If it’s owned, make sure you’re competent in the valuation of this energy efficient feature. How can appraisers learn more about appraising solar panels and green homes? For an overview of solar panels, methods of valuation, and challenges of appraising properties with solar, check out our recorded webinar, Appraising Solar Panels: A Primer, presented by instructor Mark Buhler. Buhler has over 25 years of appraisal experience and specializes in the valuation of energy efficient homes, which are increasingly becoming more common in the marketplace. In the webinar, he provides insightful tips and techniques regarding the appraisal of solar panels. Buhler also recommends these two books as helpful resources for appraisers: Residential Green Valuation Tools by Sandra K. Adomatis and The Valuation of Green Commercial Real Estate by Timothy P. Runde.